I make things up and write them down. Sometimes, people pay me for them. I’m the author of the psychological ghost story The Quickening, Loving Imogen, and Wintergreen. Pressure of work allowing, I enjoy reading, gardening, cooking, wasting time on Twitter and Facebook, and embellishing an already tortuously complicated fantasy life. 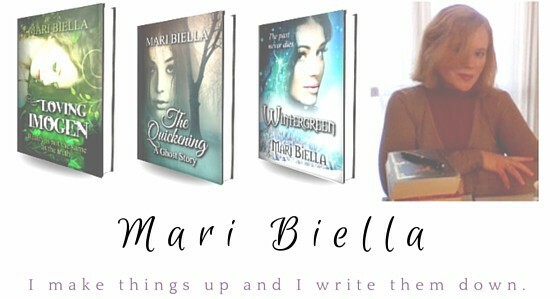 You can contact me by email at info@maribiella.com, or find me on Twitter, Facebook, or Goodreads. You can sign up to my newsletter here to get news, exclusives, and some nice free stuff. To read a free sample of my books, click on one of the images below.